It’s one of those rumors that just won’t die. It is said that churches and convents within the walled city of Intramuros were connected through a vast network of underground tunnels. Every night when everyone else was in deep slumber, some friars and nuns in the 19th century Manila would walk the dark halls of these secret passageways for a rendezvous. And that’s how these religious people supposedly kept a romantic relationship without their superiors knowing it, and away from the unforgiving eyes of the society. Or so the story goes. With the absence of any evidence, however, the secrets of these underground tunnels will always remain a product of someone’s wild imagination. But not in the case of San Ignacio Church. It is believed that the old Jesuit church had a secret passageway that connected it to the Colegio de Sta. Isabel. One man allegedly saw it first hand, and soon started an unending mystery that was Walled City’s hidden tunnels. During the Battle of Manila in 1945, San Ignacio Church was pulverized by bombs from either the Japanese or American forces. Only the ruined walls of the church survived. The property was subsequently acquired by the government who then rented it out to different companies. In 1949, a few years after the cataclysm, an American named Victor Lednicky was supervising the laying of the foundation for the Allied Brokerage Storage Building. The warehouse was about to be built on a lot previously occupied by the San Ignacio Church. 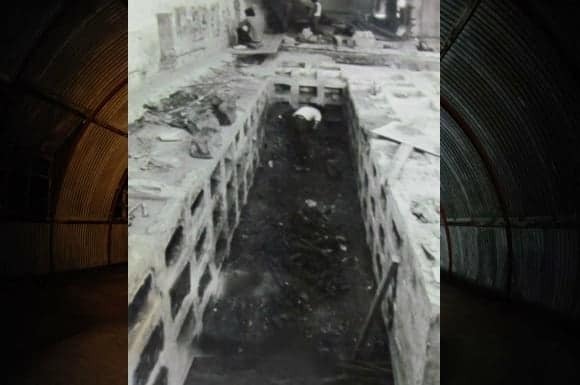 His contractors were doing some digging in the area when they accidentally discovered what appeared to be a human passageway buried underneath. Lednicky sought the help of Professor H. Otley Beyer, a famed archaeologist, to further explore what they had just found out. Filipino anthropologist Dr. E. Arsenio Manuel, then an assistant to Beyer, accompanied the latter to inspect the said archaeological discovery. 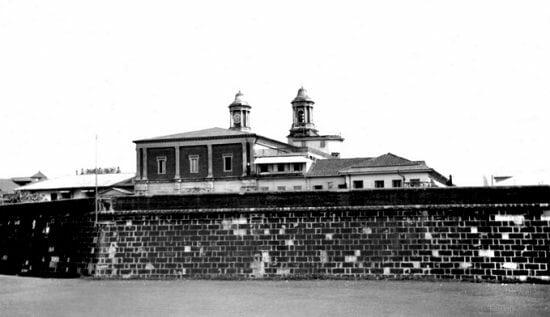 San Ignacio Church behind the Old Spanish Wall of Intramuros, circa late 1930s. Photo Credit: Mr. John Tewell via Flickr. When the two arrived on the scene, they were welcomed by a “gaping hole” whose entrance was filled with rubble. As Manuel descended, he discovered that it was also flooded with a foot deep of water. He estimated the tunnel to be six feet high and about four feet wide. It also had an arched ceiling and was entirely made of red bricks. Although he wanted to explore more, the floodwater along with the risk of encountering venomous creatures and stale gasses deterred him. But one last discovery further reinforced his assumption that he’s indeed walking inside an underground tunnel. About four or five meters ahead, the passageway branched out into two. Assuming that it was “oriented a little towards the southeast,” he believed that the forking was directed to the east. Again, he had no time to confirm it, let alone perform a detailed scientific study. Manuel recorded everything he saw that day on his notes. Sadly, they all vanished forever when his house was engulfed by fire in 1974. 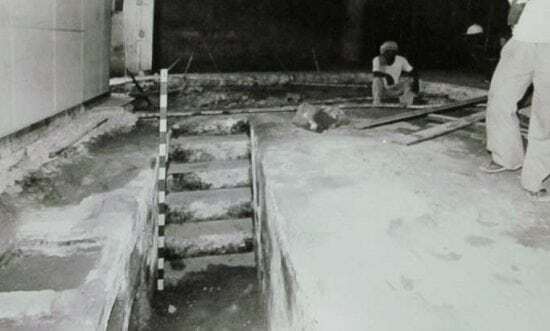 Over the following years, Manuel encountered Intramuros residents who claimed that they either heard or saw the Walled City’s mysterious underground tunnels. In 1989, Manuel delivered a paper entitled “Subterranean Structures in Intramuros” for the first annual Manila Studies Program Conference. He also recommended that follow-up research be done on these tunnels, but no one heeded his call. And so the questions lingered: Who ordered the construction of this tunnel and for what purpose? Was it really a tunnel that Manuel discovered in 1949 or something else more complicated? Historian Jose Victor Torres has a different theory. He believes the passageway excavated in 1949 and the one uncovered by government agencies a few decades later are the same. And it’s not an underground tunnel. During the late ’70s, the Intramuros Administration (IA) was tasked to restore the Walled City. The project required them to demolish warehouses occupying important landmarks. These included the one built on the site of San Ignacio Church where Lednicky’s team made a curious discovery a few decades earlier. Part of the project was to excavate the concrete flooring of the warehouse. Soon, the centuries-old secret of the church was finally exposed. Buried underneath was a concrete staircase leading to a secondary burial crypt. The discovery of the crypt stair. Photo taken by Intramuros Administration in 1979. The uncovered crypt contains 204 niches, each with names of the departed, their date of death, as well as an inscription that reads: “Restos Delos Padres y Hermanos Antiguos” (“Remains of Priest and Brothers”). Most of the niches were empty when they were discovered, although some had few fragments of bones in them. It is believed that the religious order who once occupied the church removed the bones from the niches after WWII and took them somewhere else. As for the identification of the skeletal remains that were once stored in these niches, they were none other than the Jesuits who were expelled from the Philippines in the 18th century. Upon their return, they rebuilt the San Ignacio Church which was left in ruins after an earthquake. The reconstructed church, completed in 1889, was designed by Felix Roxas, Sr. in the Classical and Renaissance style. Its interior, meanwhile, was the masterpiece of renowned Filipino sculptor Isabelo Tampingco. Further excavation exposes the secondary burial crypt of the priest of San Ignacio Parish. Photo taken by Intramuros Administration in 1979. 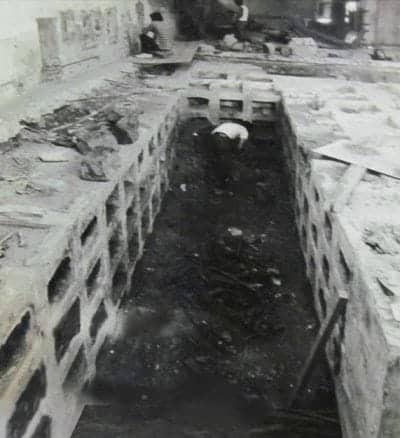 Because there’s no mention of a certain tunnel in any primary or secondary source related to the church, Jose Victor Torres have reasons to believe that the underground crypt and the one in the story repeatedly told by E. Arsenio Manuel are the same. In his book, “Pananaw: Viewing Points On Philippine History and Culture,” Torres made a side-by-side comparison between Manuel’s 1949 description and the report from the team who excavated the site in the 1980s. He pointed out the striking similarities between the two structures: (1) the concrete stairway; (2) walls made of bricks; and (3) empty niches containing few pieces of bones. However, in contrast with Manuel’s claim that the passageway branched out a few meters ahead, nothing extends beyond the excavated crypt. In other words, there’s nothing absolute about Torres’ conclusion, and a few questions remain unanswered. Is the passageway reported by Manuel a few decades earlier the same as the underground crypt excavated by the Intramuros Administration? Or was it something else? Perhaps it was not an underground tunnel for humans after all. In the same book by Torres, it’s revealed that there’s a sewerage system in Intramuros, as attested by Don Manuel Mañosa who once headed the Metropolitan Water District (now MWSS) in building these drainage tunnels. In 1984, the same agency, MWSS, also uncovered drainage tunnels below Intramuros while doing the required excavation to lay the water pipes. Before these tunnels were covered up for good, some engineers from IA performed the necessary documentation. It was noted that the tunnels, which were flooded with ankle-deep water, were big enough to accommodate a man in a crouched position. As if it’s not complicated enough, we also have to deal with some claims of American forces that the Japanese army relied on a complex system of underground tunnels in a desperate attempt to defend Manila in 1945. 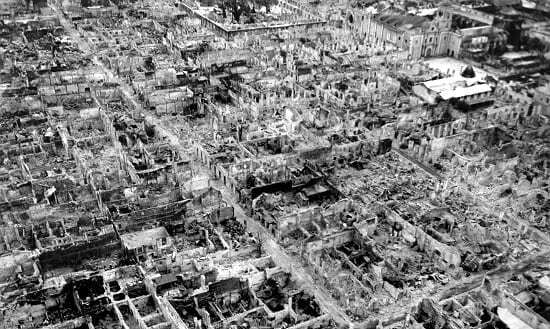 Aerial view of the devastated Manila in May 1945. Via Wikimedia Commons. “By 1030 on 24 February the 145th Infantry had compressed the last resistance in its zone into the Aquarium, located in a bastion off the southwest corner of Intramuros. Since Japanese holed up in the government buildings across Padre Burgos Street covered the Aquarium’s outer walls with rifle and machine gun fire, the 145th Infantry was hard put to devise a plan of attack until the 1st Battalion discovered a tunnel connecting the bastion to the main wall. Another reference to this mysterious tunnel system can be found in the United States vs. Gen. Tomoyuki Yamashita court trial records. A map, drawn by the guerrilla forces, shows among other symbols a series of dotted lines labeled as “TUNNEL.” The dotted lines branch out from the Manila Cathedral and ended in different buildings as far as Fort Santiago and the present-day Pamantasan ng Lungsod ng Maynila (PLM). 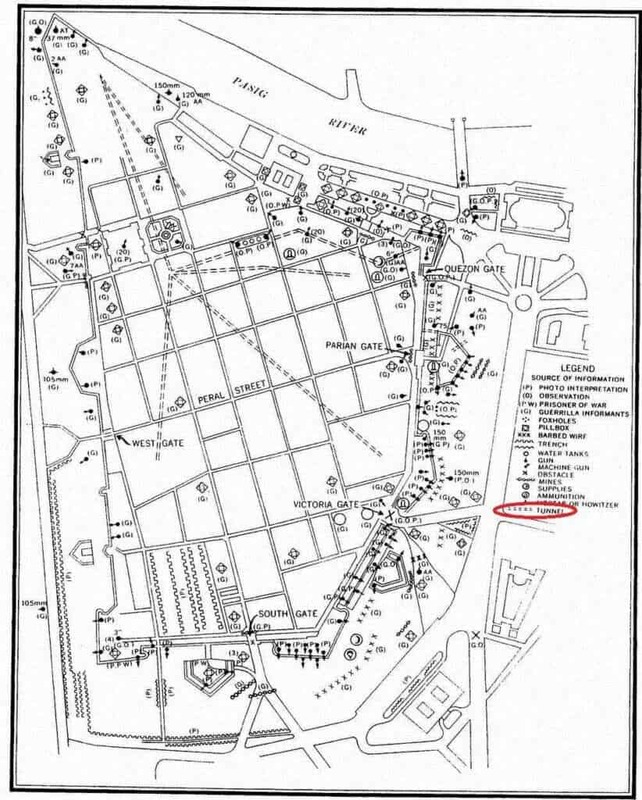 US Army Intelligence map showing the Japanese defenses in Intramuros, circa 1945. The dotted lines in the center of the map show the tunnel system in the Walled City. Whether these tunnels were built by the Japanese as part of their military strategy or had been in existence since the Spanish colonial period, we’ll probably never know. After all, most, if not all, of these tunnels were buried as soon as the post-war restoration of Intramuros commenced and new structures were built above them. The mystery of Intramuros tunnels might probably remain unsolved, but maybe it’s supposed to be that way. At the end of the day, we can always look forward to visiting the Walled City because of the things, stories, and myths that will forever intrigue the child in us. Smith, R. (2014). United States Army In WWII – The Pacific – Triumph In The Philippines: [Illustrated Edition]. Pickle Partners Publishing. Torres, J. (2000). 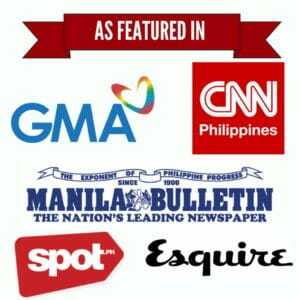 Pananaw: Viewing Points on Philippine History and Culture (pp. 114-119). UST Publishing House.